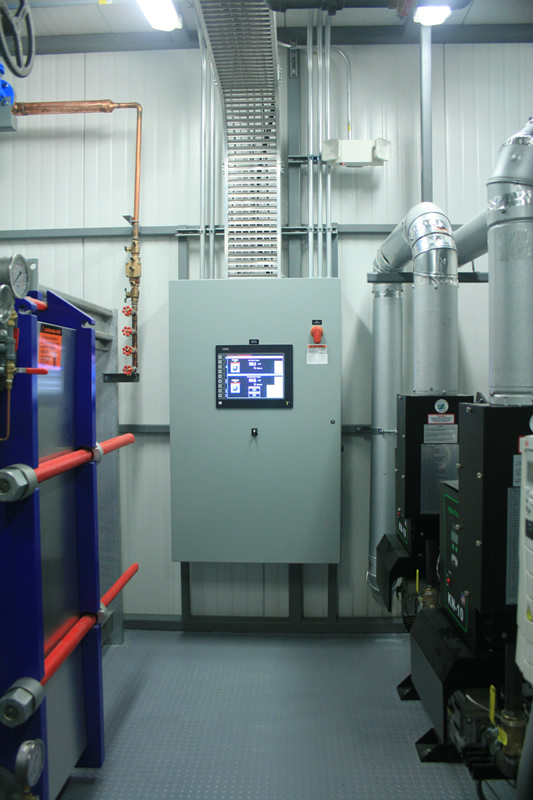 EnviroSMART uses adaptive logic to continuously monitor system and weather parameters and make real-time fine adjustments to VFD speeds, system set points, and equipment sequence points to assure the lowest kW per ton of output. 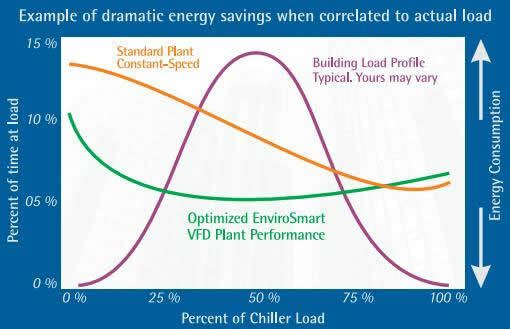 Series chillers can enable the lowest flow at light loads. Dual series counter-flow chillers can offer energy advantages by reducing system “lift”. EnviroSMART optimizes these technologies, especially where the more narrow flow range is possible.